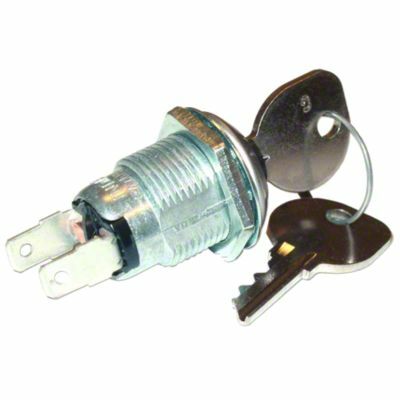 Ignition switch with key for massey ferguson: te20, to20, to30, to35, 35, 40, 50, 65, massey harris: colt 21, mustang 23, pony, 101 jr, 101 sr, 102 jr, 102 sr, 20, 22, 30, 33, 44, 44-6, 50, 55, 81, 82. Ignition Switch With Key For Massey Ferguson: TE20, TO20, TO30, TO35, 35, 40, 50, 65, Massey Harris: Colt 21, Mustang 23, Pony, 101 jr, 101 sr, 102 jr, 102 sr, 20, 22, 30, 33, 44, 44-6, 50, 55, 81, 82. Replaces PN#: 14491a, 764929m91. 2 Spade Terminal, For Use In 0.800" Diameter Hole.